The game of movie sequels is truly a tricky one. The first question that should be asked is whether the original movie needs one. In other words, was the first story complete on its own. Lately, that question has fallen by the wayside in the simple pursuit of cash. People want to see their favorite performers and so they flock to sequels regardless of quality. The hope is that Kingsman: The Golden Circle is not one of those cash grabs. When we last left Eggsy he'd saved the world and Princess Tilde was making good on her “oh so eloquent” promise. Flash forward to now, Lancelot aka Roxy (Sophie Cookson) and Eggsy (Taron Egerton) who is the new Galahad are active Kingsman. A shadow from their past surfaces, leading to the destruction of the Kingsman infrastructure. Merlin and Galahad seek the aid of their American counterparts, the Statesman. Together, they must prevent a criminal mastermind from killing millions. I tried to be as spoiler-free as possible with that description, but the truth is if you have seen Kingsman: The Secret Service then you pretty much have seen Kingsman: The Golden Circle already. The plot is a rehash of the last movie that wasn't even washed and rinsed. To that effect it simply stinks of poor writing and laziness. 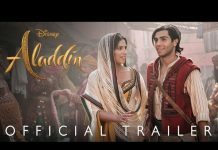 I watched the first film a couple of hours before I saw the sequel and you can literally insert most of the first cast into the roles of the new one. The only thing this story looks to do is take your golden circles, aka your hard-earned coin. 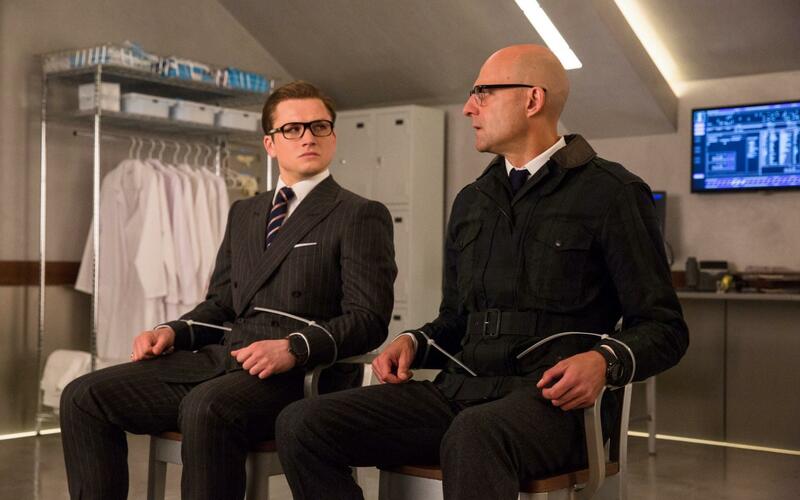 The first Kingsman film had a great cast with outstanding chemistry. Kingsman: The Golden Circle is fortunate to be blessed with the same. While there obviously are a few returning favorites, there are mostly new faces in this installment. Egerton, Strong and Firth, amongst others provide the foundation upon which newcomers Julianne Moore and Elton John shine brightly. This is somewhat of a double-edged sword. There were no bad performances in the film, but when a supporting character like Elton John outshines the rest of the cast, that is not good. Thankfully, a weak story not only gets off the ground but flies due to the cast. Julianne Moore was delightfully evil. I am sure there will be debates over who was better between her and Samuel L. Jackson. You'd never know that Pedro Pascal was from South America the way he masterfully pulls off a stereotypical Kentucky native. Jeff Bridges and Halle Berry offered the perfect amount of support. They neither hogged the spotlight nor played the rear enough to disappear. I look forward to seeing what they will do in the next film. 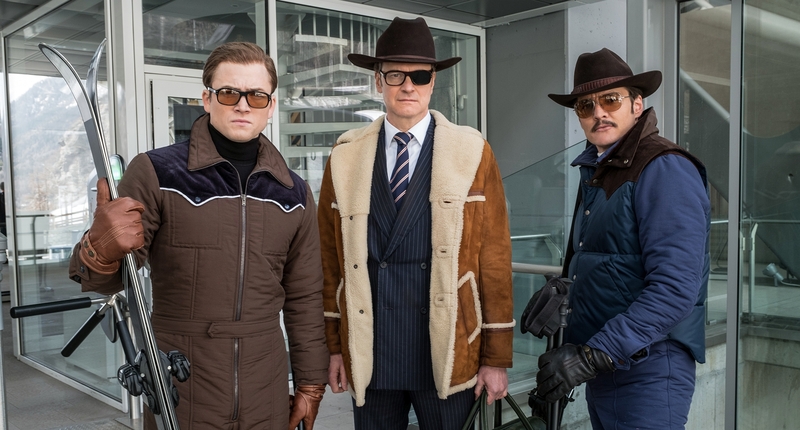 If the plot of a film means nothing to you and all you want to see are people get punched in the face, shot and/or blown up, Kingsman: The Golden Circle is the perfect film for you. With a budget of over one hundred million, you would expect a fair amount of CGI. Instead, director Matthew Vaughn kept that to a minimum and focused on what made the first film enjoyable: over the top fight scenes and crazy car chases. Of course there was plenty of green screen action but nothing so crazy that the film has that artificial look. 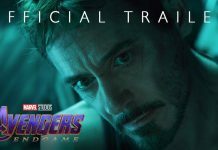 I am surprised it did not have a summer release to cash in on blockbuster season. After my review of Atomic Blonde, you know how important music is to me in a film. It can make a good scene great and a great one a classic. Kingsman: The Golden Circle starts off with Let's Go Crazy by Prince and thus begins on a high note. For most of the film the soundtrack is fantastic. The only person on Earth allowed to remix Saturday Night's Alright (for Fighting) is Elton John and the scene is hysterical. Then we come to the final fight. You'll understand why when you see it, but no one should ever make a country cover of Word Up! by Cameo. As a rule, you should never start a movie funky and end it country. Verdict: Should You Eat a Poppy Burger? How you ultimately feel about Kingsman: The Golden Circle will depend upon how you (personally) view movies. For me, a good story and (at least) some originality are important. For that reason I cannot call this a “good” movie. 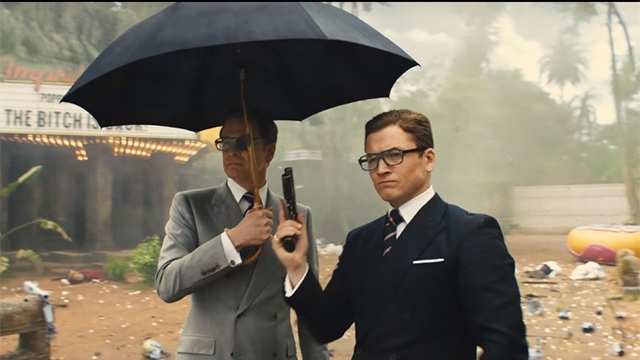 On the other hand, just like the first, Kingsman panders to everything else I like to see in a film. It has comedy, action and a fair degree of vulgarity. I wish that Taron Egerton would step up as the leading man. Aside from every other word out of his mouth being a Cockney f-bomb, he does not really stand out. None of the scenes where Eggsy is acting on his own are very memorable. He's like Kool-Aid with no sugar and it's sad because I see potential in him. I feel that you should only bother to see Kingsman: The Golden Circle if you really liked the first movie. you don't actually have to have seen it because the story stands on its own enough. You should not waste your money on IMAX however. The action scenes are pretty awesome, but nothing you need to tweet home about (#putitdown). The most memorable thing I took out of the theater, aside from Elton John, was the Justice League trailer. Kingsman: The Golden Circle is a a poor trace job of Kingsman: The Secret Service. Stay home unless you are just dying to see it.